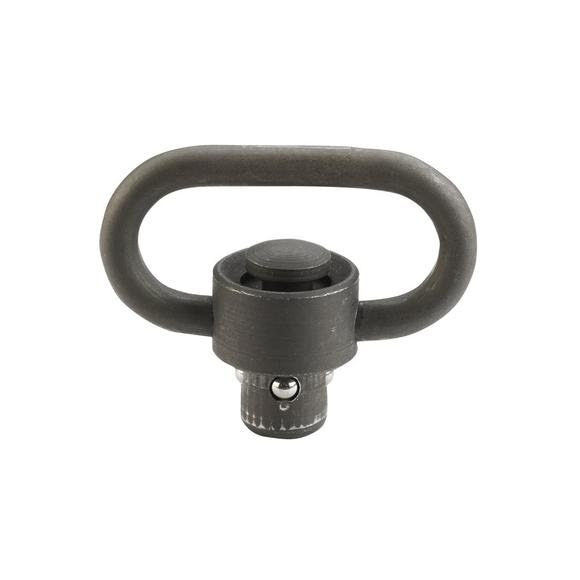 Compatible with most push-button swivel mounting points (including those featured on our Rail Mount Sling Adapter or AR-15 Quad Rail Forends), these swivels allow the operator to quickly attach or detach the sling from the weapon. Only from Blackhawk. Compatible with most push-button swivel mounting points (including those featured on our Rail Mount Sling Adapter or AR-15 Quad Rail Forends), these swivels allow the operator to quickly attach or detach the sling from the weapon. Only from Blackhawk .